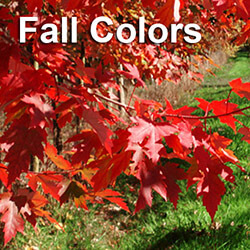 Ornamental trees are used in landscaping to add color and interest. 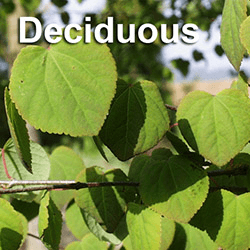 They are referred to as “ornamental trees” because of their decorative purpose. 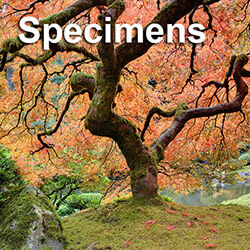 Many trees are called ornamental in reference to their blooms. There are also trees like the Tibetan Cherry, one of the flowering cherry trees that are admired because of the beauty of their bark. 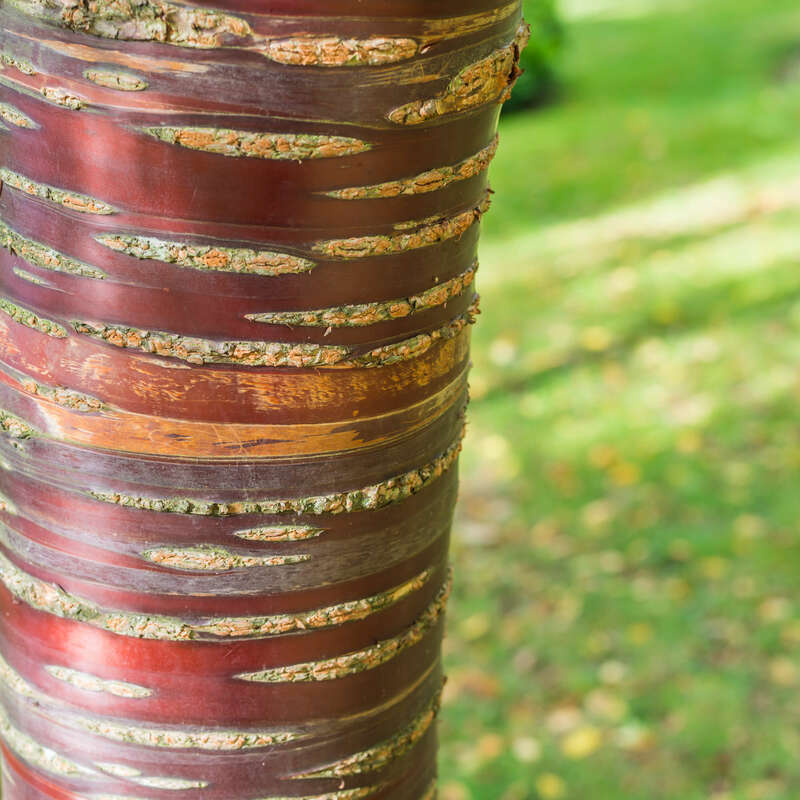 The sturdy Tibetan Cherry (Prunus serrula), also called the paperbark cherry and birch bark cherry, is a deciduous tree with bark that has a glossy, mahogany appearance. The bark peels in translucent reddish-brown and amber colored sheets, revealing a new mahogany layer. In direct sun, the tree’s skin has a rich polished copper and bronze appearance. Beneath the peal is a new layer of smooth mahogany bark. The crown of the tree is wide and somewhat round. The Tibetan cherry is one of the small to medium-sized flowering trees with narrow, willow-type leaves that have an oval-like shape and are approximately 3-4 inches in length. The leaves are a deep medium to dark green. In autumn they turn a rich yellow and then fall away. In winter, the tree’s bark is stunning. The tree blooms in late April with small white flowers. The blooms, which are often hidden in the foliage, attract bees. The tree’s cherries are non-edible and about a half inch long. They turn bright white when ripe. Tibetan cherry trees grow best in full sun and fertile, moist loamy soil. They do well in gardens and parks, as well as urban areas due to their pollution tolerance. When grown in ideal conditions, the tree can reach heights of 25 feet or more. 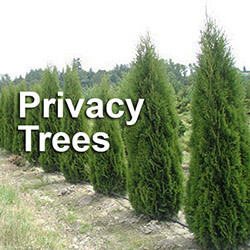 It is a fast growing privacy tree and the faster the tree grows, the more frequently it will shed its bark. Peeling the bark yourself can reduce the number of shedding periods. You can brighten up the bark with water and a sponge. Because the tree’s leaves are not very thick, many different types of shade-tolerant foliage can be planted around it. Tibetan cherry trees require very little pruning aside from the occasional removal of damaged or dead branches. The best time to prune the tree is after it has bloomed. The tree is a native to the Szechwan province in Western China. 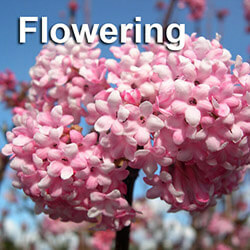 It was introduced in Europe by well-known British plant collector Ernest Henry “Chinese” Wilson in 1908. Wilson has been credited with introducing nearly 2,000 Asian plant species to the Western world. When selecting big trees for your landscape, choosing the right mix is important. Some trees may have a practical purpose such as providing shade or acting as privacy trees, while others will enhance the landscape’s appearance. In either case, the trees must also be suitable for the environment. This means factors such as space, weather and soil conditions will also need to be taken into consideration. 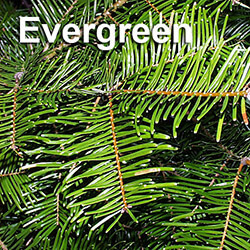 A big trees expert or tree nurserys arborist can help you find the best trees for your landscape – foliage that can easily grow and thrive in your location (tree nursery Snohomish/Seattle area). You will also get important tips and advice on how to maintain your trees, transplanting trees, and how to keep them healthy for years to come.